How often does a paranormal investigator get the chance to actually investigate a location for an extended period of time? 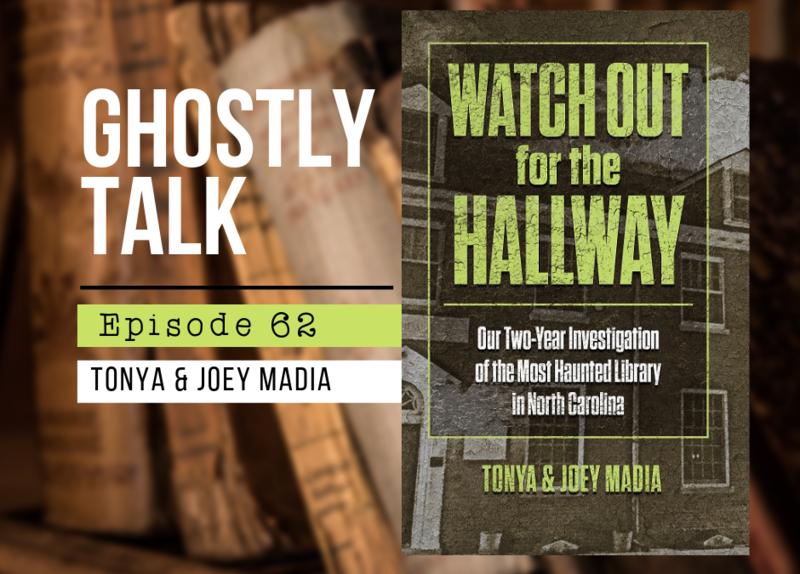 The Madia’s got that chance and we talk about all the high strangeness they uncovered during their two years giving tours through a haunted library. 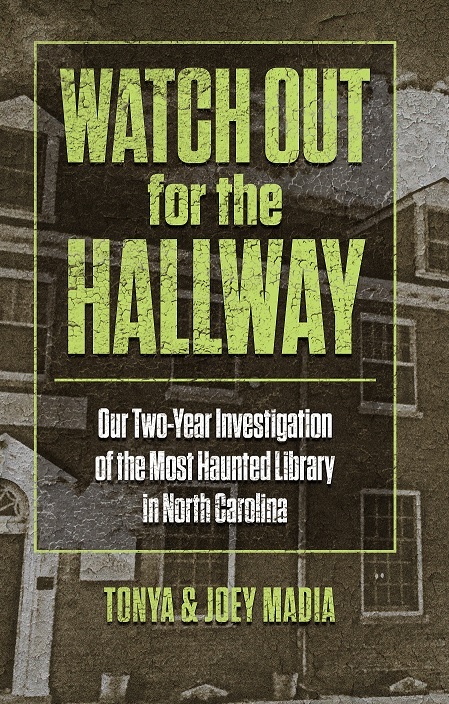 Watch Out for the Hallway: Our Two-Year Investigation of the Most Haunted Library in North Carolina by veteran paranormal investigators Tonya and Joey Madia documents for the first time an amazing history of ghosts and hauntings at the Earle W. Webb Jr. Memorial Library in Morehead City, North Carolina. The Madias meticulously document their investigations, communications, and evidence concerning resident and drop-in ghosts and other mysterious entities that lurk about the halls and stacks. Tonya Madia, author, Reiki Master, medium, yoga teacher, and massage therapist who believes in the importance of cultivating and trusting your intuition. She has seen firsthand how practices such as yoga, meditation, and Reiki lead to a deeper awareness and understanding of the natural intuitive abilities that we all possess. Her lifelong experiences with the paranormal and encounters as a medium have led her to state with surety that consciousness does survive the death of the physical body. She is also the author of Living the Intuitive Life: Cultivating Extraordinary Awareness. When he is not investigating strange phenomena, Joey Madia is an award-winning screenwriter, audio dramatist, playwright, novelist, actor, and director. His poetry, nonfiction essays, and short stories have been widely published and he is the author of two novels: Jester-Knight and Minor Confessions of an Angel Falling Upward.